Today WinterHaven Books has the opportunity to review Cursed by Jennifer L. Armentrout as part of K-Books blog tour. Thank you Kayleigh for allowing us to participate! I know now without a shadow of a doubt, that whatever Jennifer writes will be pure awesomesauce. Cursed is the first in what I hope is a long line of books. This book is definitely different from Jennifer's other novels, but it still packs the punch that I have grown to love in her writing. I seem to be seeing a trend in the whole X-Meny type books and when I found out this was going to be apart of this (hopefully) series I was a little worried. The whole superheroish thing can be a hit or miss with me, but I did have faith in Jennifer and i am so very happy to say that she not only made me a believer but she completely wiped the floor with the other books in this genre. In the story we have Ember a not so typical teenage girl. Having to take care of her sister is one thing, but having to make sure she doesn't bring animals back to life is a while other issue. Their lives are anything but ordinary and when a hawt guy and his stepfather show up to take them away her world gets turned upside down. Nothing is as it seems and Ember has to make several tough decisions that not only impact herself but her little sister as well. This book had so many different things going on, but it never felt confusing. Everything unraveled smoothly and I loved how everything ended up being laid out. I will say that it took me a little while to warm up to Ember. I was with her in the beginning but something just changed within her and I had to take a step back. By the end of the book I was with her again, but it did take awhile. I am getting spoiled by every book I pick up being a series so i am really hoping that this one turns into one. I want way more Hayden and Ember, I want to know more about Ember's Dad and Mom, and well I just want to know more about this world. 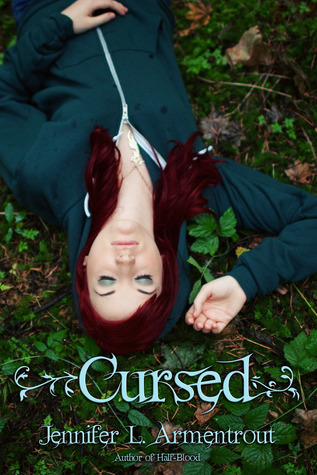 We are also giving away an ARC copy of Cursed! Just fill out the Rafflecopter form below and good luck!! LOL I have to agree with you there =D Good luck! I've only read the LUX series but I really enjoyed them and can't wait to read more of her work. I hope you get to read them soon =) Good luck! Onyx is my favorite but Pure is a definite close second =) Good luck! YAY! God choice! Good luck! I haven't read any yet! 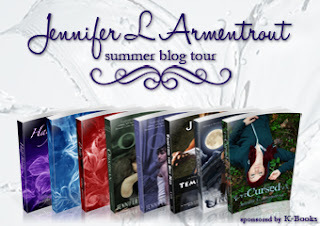 (I know, I know) Cursed sounds really interesting and I've heard nothing but amazing things about her other books! Thanks for the giveaway!! Ahhh! LOL! I hope you pick them up soon! Good luck! I actually haven't read any of her books yet, but I follow her blog and am really hoping to start at least Half-Blood soon. Oh my you have to pick them up soon!! Good luck! Pure, but I KNOW Deity is going to be my favorite after I read it. I loved Pure! Good luck! Oh no lol! I hope you get to soon! Good luck! I have the first two books in the Lux series and Half-Blood, but haven't had a chance to read them yet. I think I'm two books away from starting Obsidian. Thanks so much for the chance to win! LOL! It is most definitely a crime =P I hope you enjoy then when you get to them =) You are very welcome! Good luck! Do I really have to choose? They are all awesome! But I think pure might have the spot for now! Thanks for the giveaway! I'm dying to read this book! I love Obsidian and Onyx!!! Pure was my favorite!! Thanks for the giveaway!! Pure was awesome! You are very welcome! Good luck! Obsidian is, without a doubt, my favorite! Lux series is my favorite but out of them I would say Obsidian. Oh my favorite book of JLA's would be Obsidian because it's the first book I read of hers that made me addicted to her writing. I really liked Tempting the Best Man also! SOOO good!! I really liked both of those too =) Good luck! My favorite JLA book is Obsidian. My favorite JLA book is Obsidian, but I loved Cursed. Hayden and Ember were great! Totally agree =D Good luck! I honestly haven't read any JLA book but I had my eye on Cursed ever since I saw it on Goodreads. I really hope you like it! Good luck! My favorite book by JLA is HANDS DOWN Deity! I love that whole series! Thanks for the giveaway! I loved that one too =D You are very welcome! Good luck! Deity, of course! And Pure would be second, but all of her's are great anyway. It is so hard to pick lol! Good luck! I have the first book in the series, but have not yet read it. Will definitely have to move it up in the TBR. Thank you for sharing with us today I am looking forward to getting on board this fun ride. You are very welcome! I hope you enjoy her books =) Good luck! LOL I totally agree! Good luck! I actually haven't read any of her books! 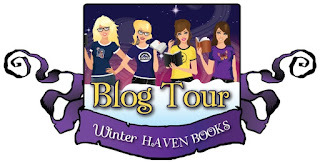 I actually have Cursed on my TBR list, and can't wait to get to it! Obsidian is still my favorite JLA book. But I'm a huge fan of all her work. I love that one too =) Good luck! I love all of her books, but my favorite is Half-Blood. I only read Obsidian and I loved it. Can't wait to read Onyx.